This was recently said by a Board member of the Humane Society of the United States (HSUS), the largest organization in the country with respect to protecting animals, in response to allegations of sexual misconduct by CEO Wayne Pacelle. This came shortly after Paul Shapiro, the former Vice President of policy at HSUS was also accused of sexual harassment. Even more recently, within the past few days, two women have accused Nick Cooney of harassing and bullying them while he was executive vice president of Mercy for Animals. Cooney has helped found several other large animal charities, such as The Humane League, and is considered a master fundraiser. This Board member statement may be shocking to many, but comes as no surprise to those in the animal movement who have been paying attention. Many of us have been hearing stories of such misconduct in the large, mainstream animal groups for years now, with the accused remaining in power because of their ability to raise a lot of money. These are the folks who are actually running these organizations and essentially driving the mainstream movement. It should also come as no surprise that those who engage in unjust behavior towards women in the movement are also indifferent (or even hostile) to other forms of injustice experienced by humans. For a long time now, the mainstream animal movement has been accused of a failure to incorporate social justice perspectives and work together with other movements who similarly are working to promote justice and nonviolence. The mainstream animal movement is driven largely by white men and has only given minimal surface treatment to issues of diversity and violence perpetrated against women and those in marginalized communities. 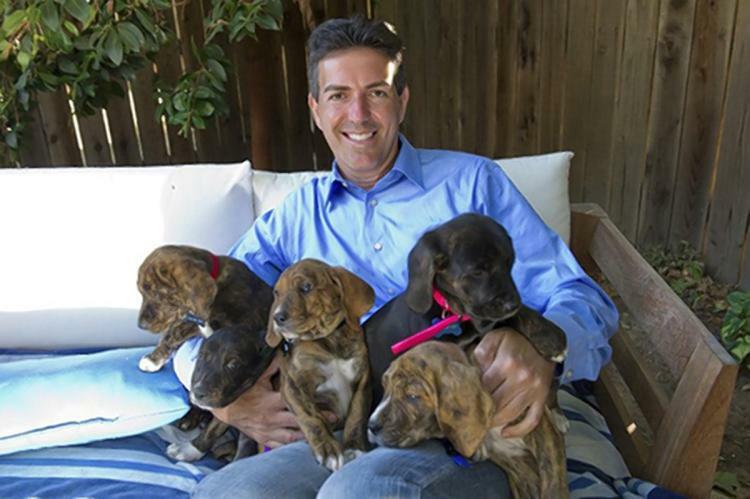 Wayne Pacelle, former President and CEO of the Humane Society of the United States. Perhaps most surprising is that these large animal charities fail to promote justice for those they claim to be fighting for, the non-human animals. The HSUS is an obvious example of this, in that they at least try to give the impression that they care about those we refer to as our pets (dogs and cats), while never taking a stand against the needless killing of other animals. This is an organization that had a “pig farmer” as Vice President and has been known for serving up animals at fundraisers. The HSUS is an easy target, but every other large animal charity organization similarly sells out non-human animals by promoting the idea that we can consume their bodies in moderation, and that reduction of animal killing is a worthy end goal in and of itself, rather than clearly promoting the ethic that the killing of non-human animals is an injustice that needs to end. One might ask, “Why do ALL of the large animal charities ignore clear social justice messages and promote the acceptability of mere reductions of animal killing as an ethical end goal, or “humane” killing, rather than taking a clear stance that no killing is acceptable? The answer seems rather obvious to those in the grass-roots of the animal movement. These large charities likely believe that there is no money in the unequivocal promotion of justice, be it for human or non-human animals, because such stances fail to resonate with most of those who fund them. And let’s face it, as the opening quote illustrates, money is the name of the game so that these groups can stay in business and pay their own salaries. (In the case of the outgoing HSUS CEO, his 2016 salary was reported as $380,000). I have recently heard arguments that the ends justify the means, that when these groups are able to raise more money by putting out weaker messages that stop short of calling for justice, it allows them to be more “effective.” Not only does this strategy serve to perpetuate beliefs that underlie violence and minimize the impacts of violence for those directly affected, but it also assumes that there is an infinite amount of resources to go around. All of the resources, financial, human, and otherwise, that go into these large charities are taken away from the grassroots who truly fight for others on their own time and typically with little or no budget to do so. As I have argued elsewhere, a wealth of research on promoting change in others indicates the importance of being clear in our nonviolent end goals. So we are left with a state of affairs that very much mirrors what we see in American politics, for example. The leaders are out chasing the money and putting out weak messages that the monied interests favor, all while trying to find new ways to convince the affected individuals and those who advocate for them that they are failing to clearly push for justice because of “effectiveness.” Just like American politicians never push for healthcare for all because they know that they will receive fewer large contributions for taking such a stance, the animal group executive will never work hard to promote the idea that we must end all animal exploitation and other forms of injustice because they believe it will be bad for their bottom line. In both cases, many innocent lives hang in the balance and the outcomes have not been good for a long time. The powerful benefit from the status quo and a lack of meaningful action. We should be careful not to fall into the trap of believing them when they tell us they’re weak on social justice for our own good, or for the good of non-human animals. I think most long-time activists know in their hearts that supporting any organization or group that does not truly promote justice will ultimately do harm. This is excellent, Casey! So important for animal advocates to understand the motivation behind the behavior of the leaders of these corporations. Even with Pacelle (officially) gone, his enablers remain in firm control and a culture of secrecy and corruption still looms at the top of HSUS. Also, keep in mind that when Pacelle supposedly “left” the Fund for Animals, he still remained in control via his handpicked executive staff and board members. That dynamic still exists at HSUS with Mike Markarian, Holly Hazard, Heidi Prescott, Josh Balk and all the board members who voted to shut down the sexual harassment investigation and to keep Pacelle in place. Wayne Pacelle’s misconduct at HSUS goes far beyond sexual harassment allegations. He has, as a matter of routine, lied about his accomplishments and used charitable resources to publicize false claims that elevated his stature and fostered the kind of hero worship that has been so pervasive. This put the women he interacted with at a tremendous disadvantage when considering whether or not to report inappropriate behavior. His fabricated victories enabled his predatory ways by attracting followers and by insulating him from accountability and exposure. Pacelle generated tremendous publicity for himself when he announced a legislative deal with United Egg Producers, which he claimed would “outlaw battery cages nationwide.” In reality, that deal would have kept laying hens confined inside egg factory cages in perpetuity. Facing litigation that included charges of bribery, money laundering, and obstruction of justice (a check signed by Pacelle was apparently used to pay a witness who had repeatedly lied under oath), HSUS settled a massive RICO lawsuit by paying the owners of Ringling Brothers Circus millions of dollars of charitable donations that should have been used to protect animals. That’s in addition to all the money in legal fees that were paid out. This use of charitable dollars – to cover the improper conduct of Pacelle and other executive staff – was not unlike the misuse of funds used to essentially buy the silence of women allegedly sexually harassed at HSUS. In the biggest blunder in animal rights history, Pacelle squandered over $10 million dollars on Proposition 2, the botched 2008 initiative that resulted in millions of laying hens being subjected to more than nine years (and counting) of preventable cage confinement. Nevertheless, Pacelle’s false assertion that he had “outlawed” battery cages in California has been his biggest claim to fame. Pacelle and the egg industry have now introduced yet another ballot initiative in California. This new initiative would declare battery cages legal in California for additional years and would forever allow the egg industry to provide hens with as little as one square foot of floor space per bird. None of the above would have been possible without the complicity of the HSUS executive staff and members of the board of directors. Just as Pacelle provided cover for Paul Shapiro, HSUS’s senior staff and board members have covered for Pacelle’s behavior. There needs to be a clean sweep. Appreciate the article and let’s give enormous credit to all the people truly dedicated to ‘animal rights’ who have been making the case – that Casey is making here – for many many years. 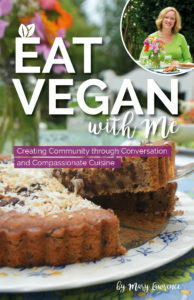 Sadly, welfarists and those star-struck by the ‘rock stars’ in the ‘animal protection’ movement have been overpowering the clear and meaningful championing for vegan living which often happens at the grass roots. Some animal activists, in a misguided call for unity or what incremental change can mean, actively discourage vegans and those promoting the vegan message as if standing on a clear and thoughtful platform harms animals. Let’s think critically and see beyond the demagoguery.